Rocket Yoga, because it gets you there faster! Think ‘heels in church’ – this is how London Fitness Studio ‘Frame’ describes Rocket Yoga. Probably the first form of Power yoga, the Rocket system was developed in San Francisco in the 90s by Larry Shultz, also known as the “bad man of ashtanga”. Larry studied Ashtanga Yoga with Pattabhi Jois for 7 years between the US and India. After years of Ashtanga practice, Larry was one of the first to step out of the tradition and develop his own. In Ashtanga Yoga you cannot progress until you master each posture, however long that may take. And for inflexible Larry that was going to be a very long journey! So he created his own yoga style, one that mashes up poses of the first 3 series of Ashtanga Yoga, that allows you to play around, experiment and ultimately, “gets you there faster”. And because of it, he called it “The Rocket”. Larry believed that all students should be able to practise all poses, whether they could make them look pretty or not, most important was that they had a chance to try. 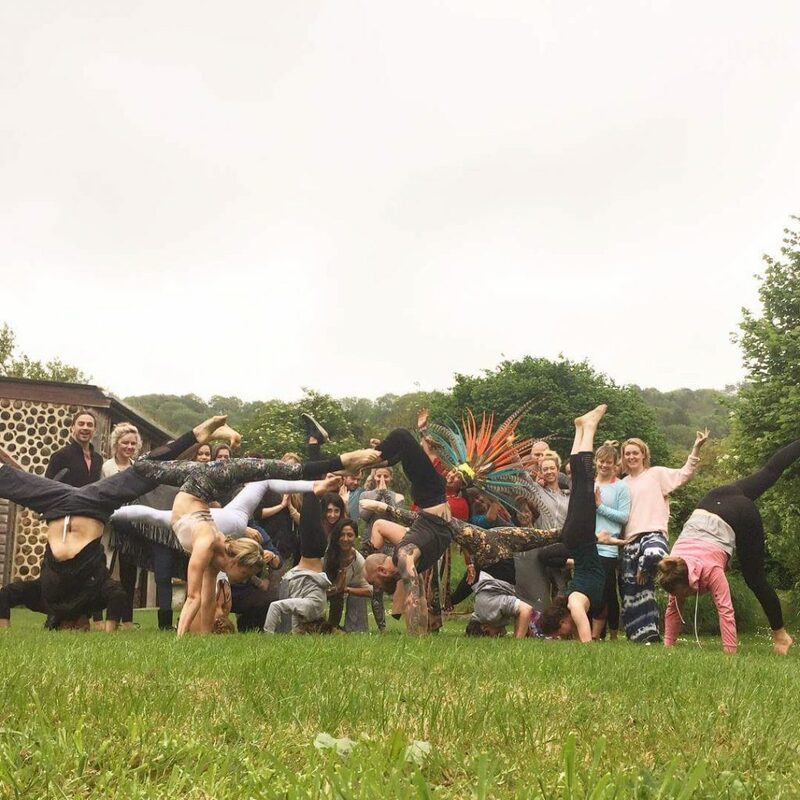 “So for those who wanted to experience all the life-changing benefits of this powerful form of yoga without getting stuck at the start, Larry broke down some of the rules that were keeping all the good stuff back” says Marcus Veda on his Rocket Club Yoga Blog. Flowing movements burn calories and raise the metabolism; held poses build strength and flexibility. It’s faster and fun and not overly theoretical, it’s about doing the practice and staying with the breath. As long as you carry on breathing, you are on The Rocket. After teaching Vinyasa Yoga for a while, I decided to further my teacher training and learn more about “The Rocket”. After asking around for advice on whom to train with, it seemed that The Yoga People were the way to go. And I signed up. I had only done a few Rocket classes and a workshop before the training, but knew enough about it to expect an intense few days ahead of me. Training was full on! Imagine 56 hours of training in 5 days! More than half of these hours were spent on the mat. By day 2 my body was sore from head to toe. I had no idea if it was going to get better or worse, as never in my life, I’d ever practiced so many hours a day. I was pleasantly surprised to notice my body quickly start to adapt to the intensity of the training and from the 3rd day I was exhausted, but almost pain free! We had some of the most amazing teachers breaking down the 3 Rocket series, advanced poses and transitions. There are endless possibilities in the Rocket. The sequences can be adapted to suit length of class and level of experience. The idea is to make it challenging but also accessible… You could just stay in child’s pose and breath and that would still be Rocket!. Familiar with most of the poses in the Primary Series of Ashtanga? Want a new challenge? Then Rocket Yoga may be for you! I recommend you to try some of my favourite Rocket teachers: Marcus Veda, Leon London, Lolo Lam and for more of a challenge, Ambra Vallo. 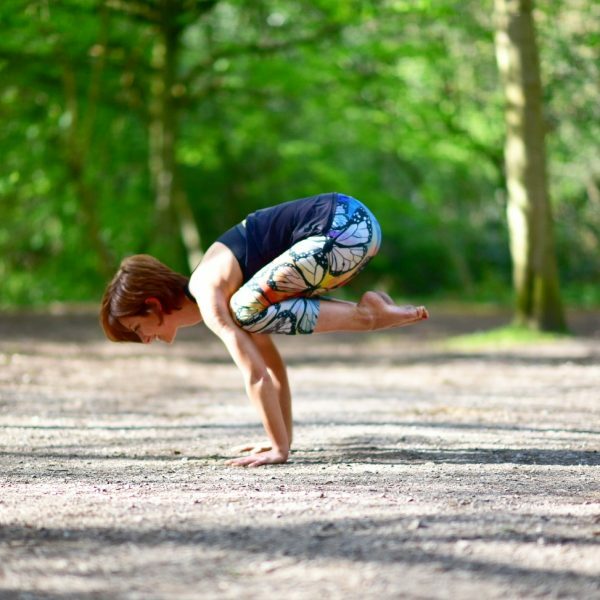 You may also find me teaching Rocket Yoga around London – Keep an eye out on my schedule!